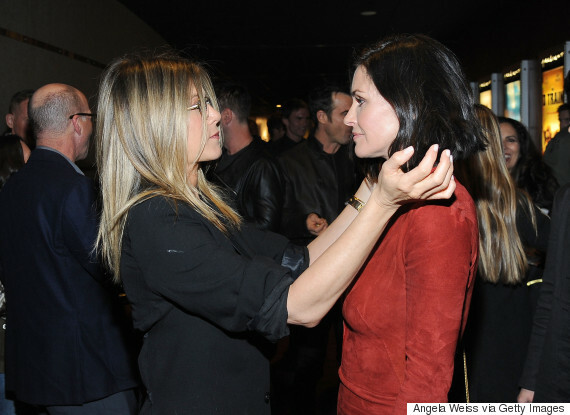 Jennifer Aniston showed up to support Courteney Cox at the premiere of her directorial debut, because that's what friends are for, right? The 50-year-old told Entertainment Weekly that her acting experience and childhood helped inform her directorial choices with "Just Before I Go." She also said that David Fincher gave her advice about her movie. "I had about a four-hour dinner with him before filming, and we broke down the movie in every way possible," Cox said. "It allowed me to be really clear about my attentions and my style."